In a full-page ad in the Boston Globe on Sunday, the Conservation Law Foundation told Massachusetts Gov. Charlie Baker that the proposed Northern Pass project should be disqualified from the Mass. Clean Energy RFP aimed at reducing carbon emissions because it lied in its bid. The open letter to Baker said the proposed 192-mile high-voltage transmission line that would cut through New Hampshire from Pittsburg to Deerfield is unacceptable for its environmental impacts alone. “But even these concerns are overshadowed by the company’s dishonest and disdainful treatment of communities and regulatory agencies in the permitting and bidding process,” the Conservation Law Foundation ad said. Melissa Birchard, a staff attorney for the CLF New Hampshire, said Northern Pass misrepresented a number of facts in its Massachusetts energy bids. “They said the project had broad public support in New Hampshire, but it doesn’t. In fact, Counsel for the Public, a neutral party, described in briefing last week ‘overwhelming opposition to the Project expressed by intervenors, municipal governing bodies, legislators, and the public.’ 22 of 31 host municipalities have opposed the project at the SEC, and 1500 public comments run 11:1 opposed,” Birchard said. Northern Pass also told the Massachusetts bid reviewers that they expected permits for the mixed wind-hydro proposal by the end of 2017, but they haven’t even applied for permits for that project, she said. “The New Hampshire Site Evaluation Committee has made clear that it is only reviewing an all-hydro proposal in the current permitting proceeding. And in their DOE Presidential Permit application, Northern Pass specified that the project would transmit 98% hydroelectricity,” Birchard said. Northern Pass submitted two proposals, one that is all hydropower and the other a mix of hydropower and wind in Massachusetts. But the Northern Pass proposal before the New Hampshire Site Evaluation Committee deals only with Hydro-Quebec electricity. According to the Boston Globe ad, Northern Pass falsely claimed that the project finances could not support burial of any meaningful segment when at least one competing bidder has promised full burial from the start. “Balancing competing interests is never easy, but it demands candor and respect for the public and your administration. Disqualifying Northern Pass is essential to the integrity of this important decision,” the CLF ad said in addressing Gov. Baker. The Conservation Law Foundation is an intervenor opposed to the proposal that is presently before the New Hampshire Site Evaluation Committee. Seventy evidentiary hearings have been held on Northern Pass’ application and the committee is scheduled to begin 12 days of public deliberations on Jan. 30 in Concord. Northern Pass didn’t immediately respond to a request for comment. The open letter to Gov. Baker was published in the Boston Globe two days after Eversource Energy/Northern Pass Transmission filed its final brief to the SEC stating it has met the four requirements in New Hampshire to be awarded a certificate to build. On Friday, Northern Pass filed its 429-page brief saying it has the financial, technical and managerial capability to construct and operate the project; it will not unduly interfere with the orderly development of the region; will not have unreasonable adverse effects on aesthetics, air and water quality, historic sites, the natural environment and public health and safety; and that it will serve the public interest. “The Project will provide over $3 billion in economic stimulus in the state by reducing the electricity costs of New Hampshire customers by more than $60 million annually, producing more than 2,600 New Hampshire jobs at the peak of construction, generating an estimated $600 million in local, county and State tax revenues over the first 20 years of operation, providing $200 million in funding for community betterment, economic development, clean energy and tourism through the Forward New Hampshire Plan, sponsoring the $7.5 million North Country Job Creation Fund, and partnering with the National Fish and Wildlife Foundation (“NFWF”) to restore and sustain healthy forests and rivers in New Hampshire. Correspondingly, the Project will reduce regional greenhouse gas emissions by more than 3.3 million tons per year, which will help New Hampshire achieve the goals of the New Hampshire Climate Action Plan and the Regional Greenhouse Gas Initiative. 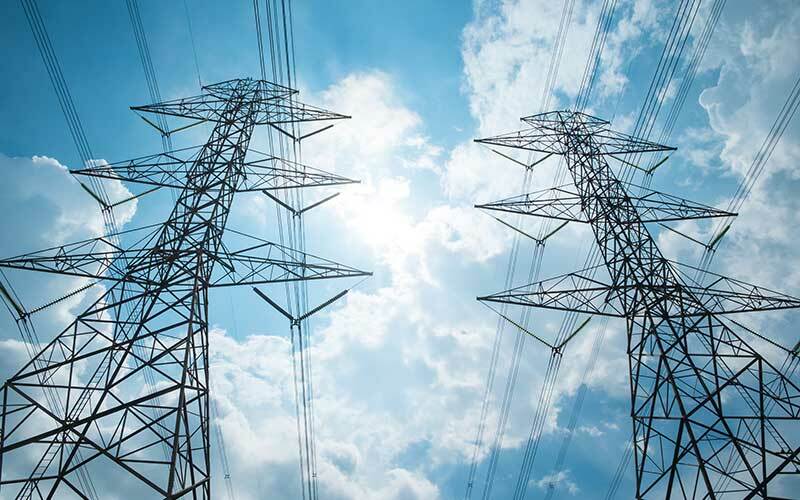 “The Project benefits will be achieved without monetary contribution by New Hampshire customers and with no demand on government services during operation of the Project,” the Northern Pass/Eversource brief stated. Next week, the three major electric distributors, including Eversource, and the Mass. Department of Energy will announce which of 46 proposals will be selected to negotiate long-term contracts to produce 10 terawatt hours of clean, renewable energy over the next 20 years. After the Mass. Clean Energy RFP selection committee makes its recommendations on Thursday, the projects have until March 27 to negotiate long-term contracts before they are presented to the Massachusetts Department of Public Utilities in April. Selecting the winner does not follow a normal procurement process as the ratings will not be known until the contracts go before the Department of Public Utilities by April 25, but does reflect the varied interests of the major distributors. The Mass. Clean Energy RFP resulted from Massachusetts legislation that emphasizes new renewable energy sources and transmission systems to deliver “clean power” to southern New England. Last November, Conservation Law Foundation president Brad Campbell sent a letter to the Mass. RFP selection committee saying that while CLF supports giving preference to blended projects, Northern Pass’ bid that includes hydro power and wind misrepresents its permitting status. “The bid claims to be nearly done with permitting and ready for an in-service date of 2020 when, in fact, there are no major permitting applications pending that include the Northern Pass: Hydro + Wind proposal,” Campbell wrote. “The Applicant has not sought to amend its Application to include transmission of wind generated electricity. A determination on the scope of a Certificate or any conditions can only be made after consideration and deliberation based on the complete record,” Honigberg said, denying the joint motion. The Site Evaluation Committee will begin public deliberations at 49 Donovan St., Concord, on the following days: January 30 and 31; and February 1, 6, 8, 9, 15, 16, 20, 21, 22, and 23. A verbal decision is required by the end of February and a written decision by the end of March. The written decision triggers a 30-day window for Eversource or the intervenors to ask the SEC to reconsider its decision. Jack Savage, spokesman for the Society for the Protection of New Hampshire Forests, said the two states have different decisions to make when asked about the ad in the Boston Globe. “The Mass. RFP is about Massachusetts deciding what they think they want. NH’s decision-makers need to consider what’s best for New Hampshire,” Savage said.